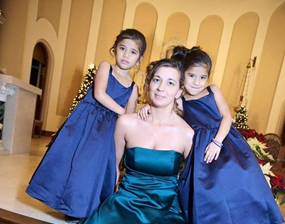 A family I have known for a very long time is going through a major battle and a mother’s worse nightmare. 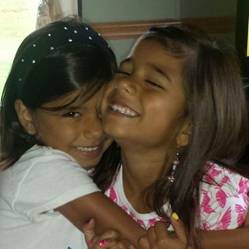 Single mother Victoria Myers of Lowville, N.Y. has two beautiful twin daughters Ariyanna and Veronica Mark, age 6. In March of 2015, Ariyanna began complaining of back pain, only to later discover that she has Ewing’s Sarcoma which is primary bone cancer that affects mainly children and adolescents. During surgery doctors discovered they could not remove the tumor due to its proximity to the spine. The current course of action is radiation and chemotherapy. Because of the intensive treatment schedule, her mother is unable to work. As one can imagine, their medicals bills are piling up and adding additional stress. Community, family and friends are coming together to do whatever we can possible to help this little girl fight. I’m hoping to use the unity of USW to assist this family in need.